These short treks in Uttarakhand, India are perfect for beginners. They’re not more than 3-5 days long so you’ll get the full Himalayan experience. On these treks, you’ll be trekking through alpine meadows, over icy glaciers, and past towering peaks and shimmering lakes. Apart from trekking, there are lots of other adventures you can do in Uttarakhand. Read our blog about Top Adventures in Uttarakhand. The Nag Tibba trek in Uttarakhand can be done in 1 night, 2 nights or even 3 nights, depending on the pace you want. The trek begins in Pantwari village, which is a short drive from Dehradun. En route to the top, you’ll pass charming villages, terraced farms, and pine forests. The treks takes you to 10,000 feet, to give you closer views of peaks like Bandarpoonch and Kedarnath. 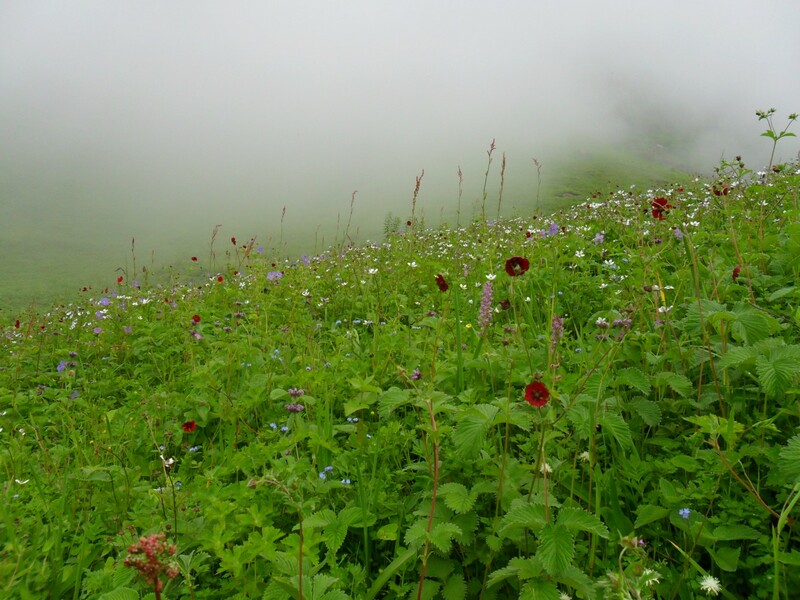 The Valley of Flowers in Uttarakhand is one of the best loved 5 day treks in India. 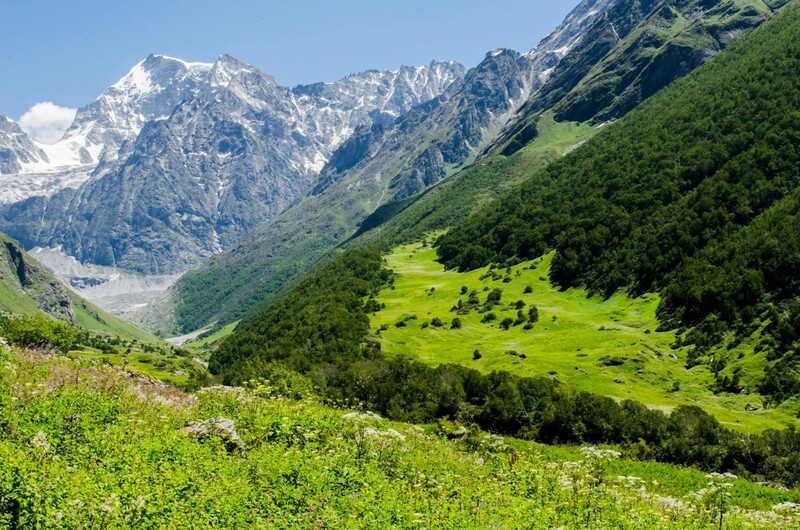 It is a pretty valley in the Nanda Devi National Park, filled with waterfalls, glaciers, and towering mountains. 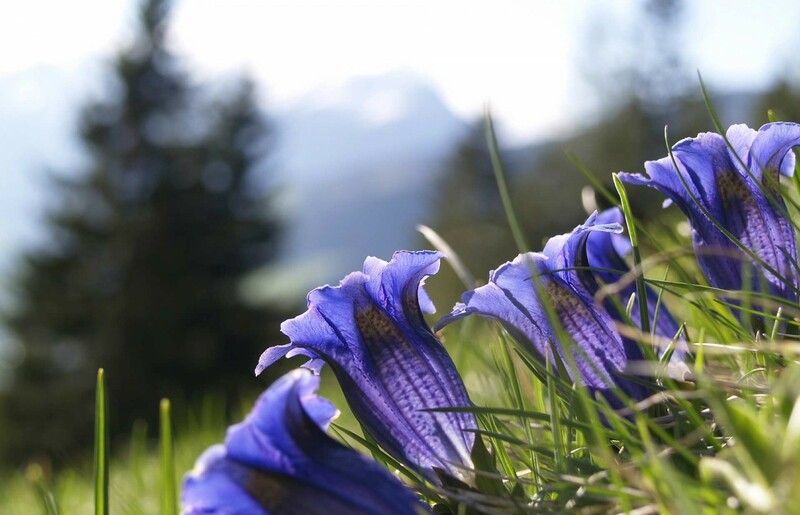 Once a year, just after the monsoon, the slopes of the valley bloom with over 300 species of wildflowers. This is a gorgeous trek that is suitable for beginners, and is best done in the months of July and August. 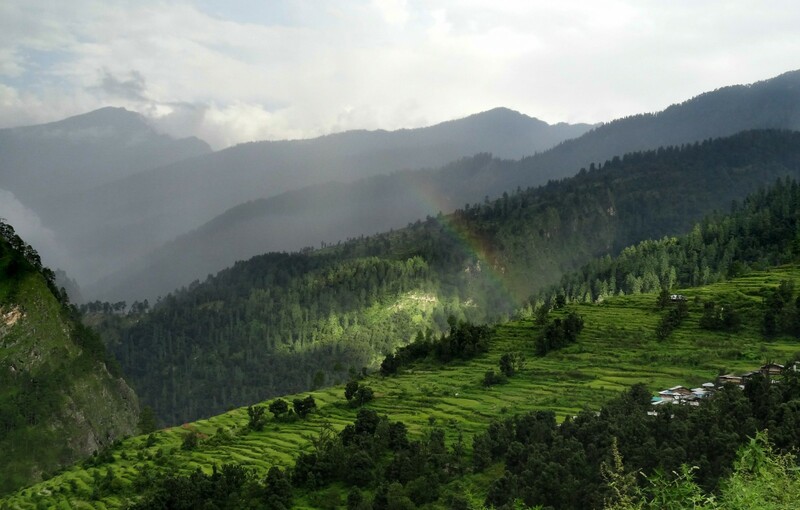 The Chopta-Deoriatal-Chandrashila trek can be done in 4-6 days, depending on the itinerary you choose. The first stop on the trek is usually the serene Deoriatallake. After that you’ll head on to Chopta and then to Tungnath. Beginners will be able to do the trek up to here. The climb to Chandrashilapeak is quite steep, so may be suitable only for fit beginners. 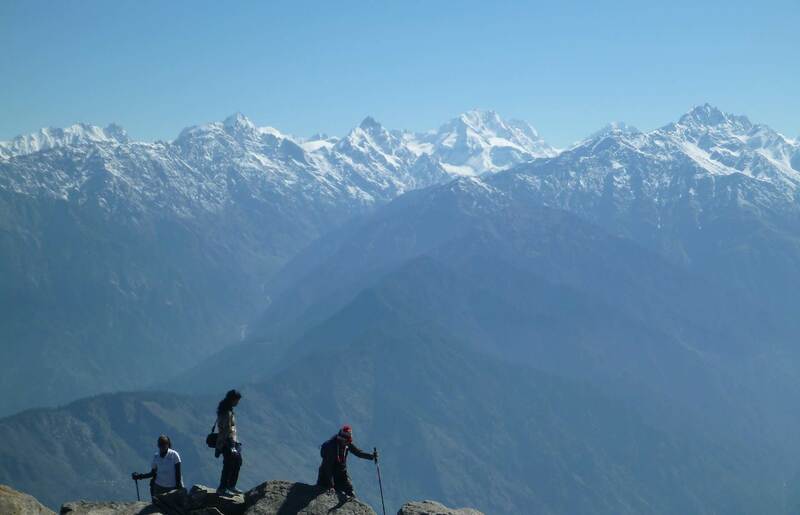 The Kedarkantha trek is one of the most popular winter treks in Uttarakhand, and takes about 5-6 days. 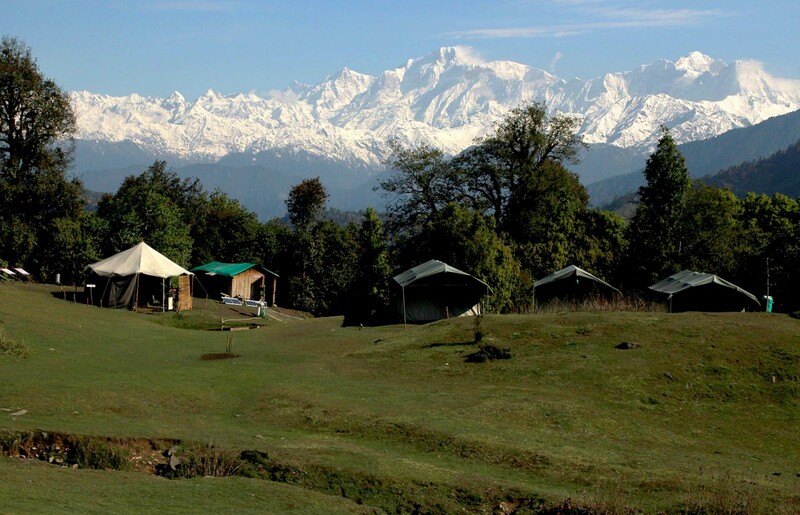 It is suitable for beginners, easily accessible, and takes you to some of the most beautiful campsites in Uttarakhand. It is a ridge peak that offers you great views of peaks like Bandarpoonch, Black Pearl, and Swargarohini. 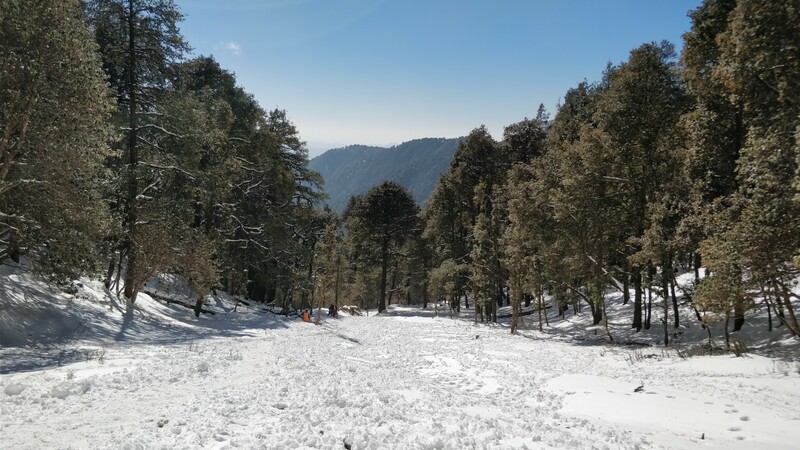 The Kedarkantha trek is most popular as a winter trek as it receives lovely snowfall. 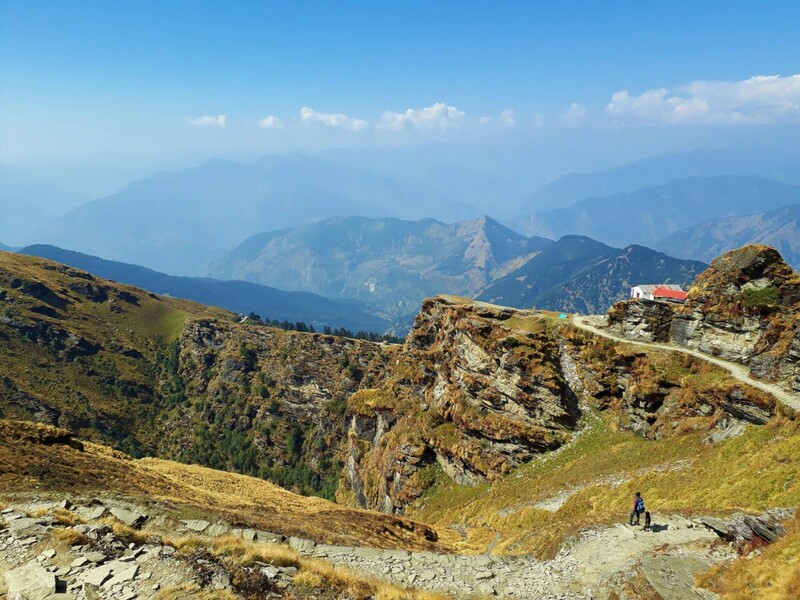 This easy trek in Uttarakhand takes about 3-5 days, and is suitable for beginners, families, and groups of friends looking for a quick mountain getaway. It begins in Barsu, and takes you up to over 10,000 feet. You’ll be trekking through gorgeous meadows, with forests and peaks all around. You’ll be able to see Kala Nag, the Gangotri Massif, and other famous peaks. 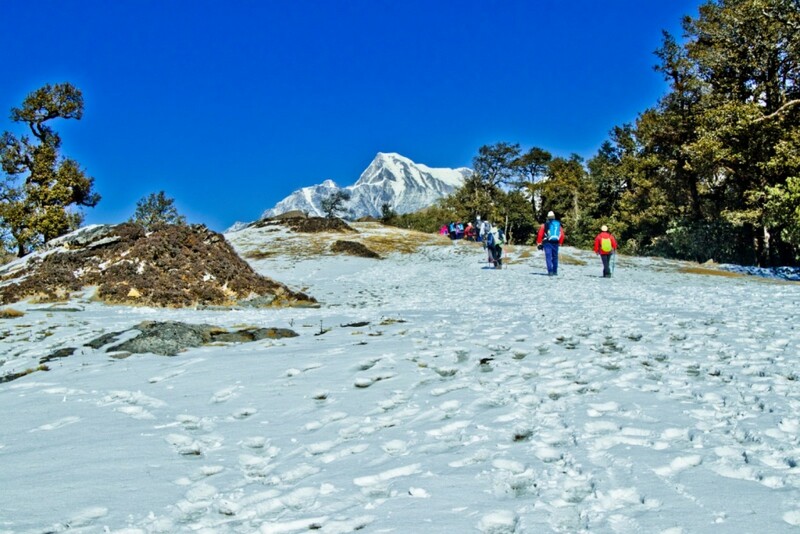 The Brahmatal trek is suitable for fit beginners, and is a lovely snow trek. During this time, the snow blankets the ground all around, and the lake shimmers like a jewel in the mild winter sun. However, the trek to Brahmatal is also beautiful in other months, and is a popular year-round trek. The trail has some steep sections, but you’ll be so distracted by the oak and pine forests and the mountains around you that you will barely notice. 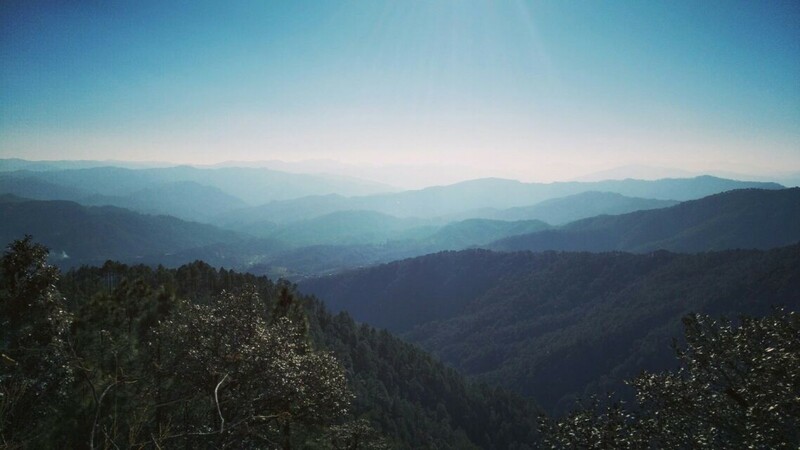 This easy trek through Binsar Sanctuary offers you a chance to explore alpine forests, gleaming streams, quaint villages, and the peace of the Himalayas. You’ll get to see famous peaks like Nanda Devi, Nanda Ghunti, Trishul, and Panchachuli. This short trek in Uttarakhand is usually done over two days, giving you a chance to enjoy camping. Binog Wildlife Sanctuary is located close to Mussoorie, perched in the hills, with views of the snow-covered Chaukhamba and Bandarpoonch peaks. Covering over 339 hectares of forest, the Sanctuary is home to leopards, deer, bears, and many species of birds. It is a delightful short trek in Uttarakhand, especially for photographers, wildlife lovers, and those who enjoy being in the outdoors.